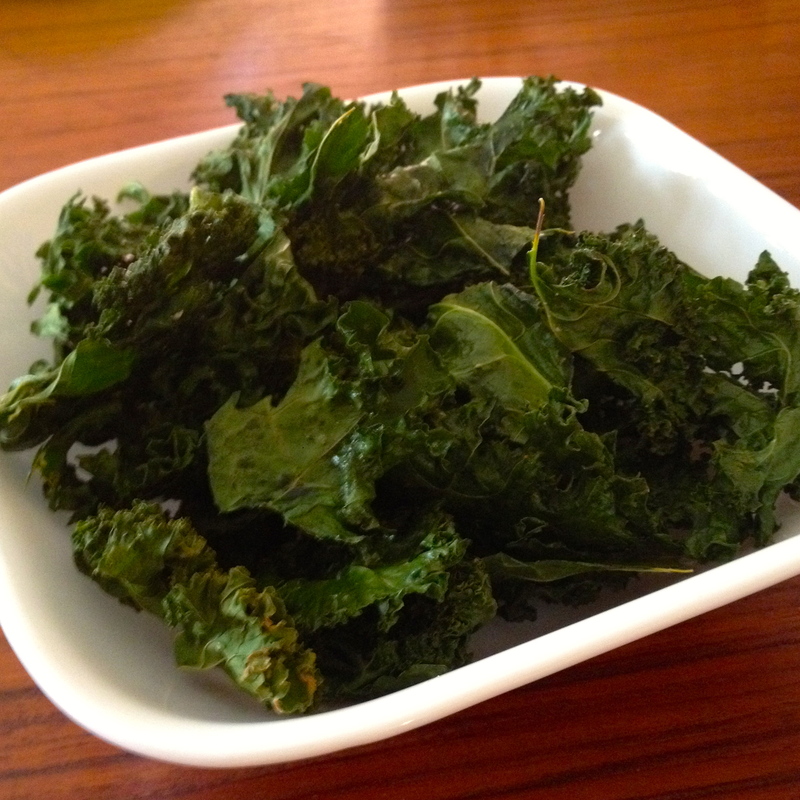 Who Doesn’t Like Kale (Chips)? You’ve probably heard by now that kale isn’t just good for you, but it’s a “super food.” I like it in smoothies, sautéed, in soups, but one of the easiest and tastiest ways to make it is into kale chips. My two and four year old enjoy them just like they were potato chips, so I bet you will too! Buy a bunch of kale, rinse, dry off. Tear of the leaves from the stems (discard the stems). Then you want to rip them into potato chip size pieces… not too big, not too small. If they’re too big they will get soggy while baking instead of crisp. Put them in a pile on a cookie sheet and drizzle or spritz a little olive oil on them (no more than a teaspoon). Sprinkle some salt and just a bit of garlic powder (if you like garlic). Spread them around on the cookie sheet so that they are not overlapping much. Put into oven for 12-15 minutes. You want to watch them at about 12 minutes. The trick is to get them just until they’re crisp, but before the ends starting getting yellowish / brown. Pull them out, put in a bowl and enjoy! This entry was posted in Main, Recipes and tagged kidfriendly, recipes, snacks. Bookmark the permalink.